Jules said "My granddaughter, Leighton, is a fashionista and she just had to have "play" glasses to match her camera and her flip flops. She is gorgeous!" 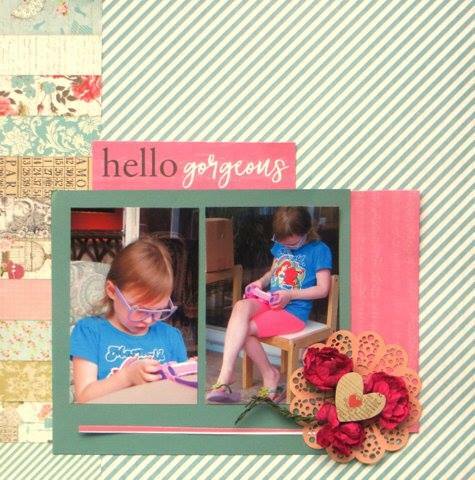 Jules used such a fun mix of papers and her floral embellishment is perfect. The LO is as cute as can be! 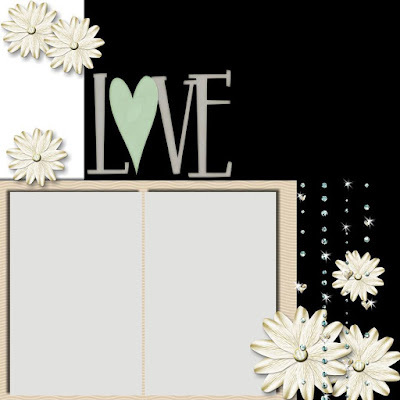 Love that border paper on the left & the sweet flower and heart bouquet on top of the doily. So "girly" - just like your gr-daughter.